Marks And Spencer Personal Injury Claims Guide – How To Claim Compensation For A Accident In Marks And Spencer? – How Much Can I Claim? Marks and Spencer has long been one of the most popular stores in the UK. Not only is it a a clothing store, but you can buy food and drink and there are banking and travel services within some stores too. That is without mentioning the cafes in Marks and Spencer stores throughout the UK. Because of this, there are many different ways an accident in Marks and Spencers could happen. If you have been involved in an accident and it was not your fault, we can help you to make a claim here by calling 0161 696 9685 or visiting us at Advice.co.uk. Read on to discover more. What Is A Marks & Spencer Accident? I Slipped And Fell In M and S Can I Claim? I Had Marks And Spencer Workplace Accident, Can I Claim? What Is A Retailers Duty Of Care? How Long Can An Accident Claim Take? If you have been injured in Marks and Spencer, and it was not your fault, then you may be entitled to compensation. In this guide, we will reveal everything you could possibly need to know about making a claim. This includes information regarding the different types of accidents and injuries that can happen, from workplace accidents to customer accidents, and shelving and racking accidents to food poisoning. We will also provide you with details regarding the claims process and how much compensation you may get, plus details on how compensation is calculated and the type of service we provide. If you have any further queries, you will find our contact details at the end of the guide. This relates to any type of accident that has happened at a Marks and Spencer’s store. This could be an M&S door accident, a car park incident, food poisoning, or a slip, trip, or fall, for example. One thing that everyone wants to know when it comes to accident claims is how much compensation they are going to get. You may have come across a personal injury claims calculator online but we feel that these are not always accurate. Why? Because they cannot give an accurate picture and each persons claim is different to the next. We have put together this information in the table below to illustrate the different amounts that are awarded to different injuries. Firstly, you have general damages. This amount is calculated based on the severity of your injury and the impact it is going to have on your life. The report that has been put together by your doctor will be used to determine the amount you receive, and it is important to note that psychological injuries are rightly taken into account too. Secondly, you have special damages, which are also known as out of pocket expenses. From hospital car parking tickets to childcare expenses, it covers all of this. In the upcoming sections, we are going to take a look at some of the most common accidents that could take place in such stores. If you cannot see the sort of Marks & Spencer store accident you have been involved in, please don’t panic – you could still claim. We are merely looking at some of the most common cases in further depth. From broken pavement stones to unmarked wet floors, there are many different reasons why you may slip. No matter what has occurred, if you are to make a successful slip and trip claim, you need to show that someone else is at fault. In these cases, this will be the company itself, as they are responsible for their store and their grounds, i.e. the car park. Therefore, if you have tripped in the car park because of a dangerous pothole, you may be able to make a claim. One common illness that could be sustained when it comes to supermarkets is food poisoning. After all, these stores sell all types of food imaginable, and most have counters whereby you can purchase prepared meals and such like. Not only this, but there are now a lot of supermarkets that have cafes too. If you have eaten something and it has not been cooked, prepared, or stored properly, you could end up with a very sore stomach. 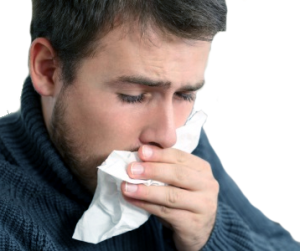 There are a number of other symptoms associated with food poisoning too, including nausea, diarrhea, and a fever. While these symptoms tend to fade after a few days, there are individuals who have suffered life-threatening symptoms because of food poisoning. One of the most common types of accidents suffered in a supermarket or store is shelving and racking accidents. This could be a racking collapse or a shelving collapse. Or it could be injuries caused due to falling items because the racking has not been put together properly. These items differ in terms of size and weight considerably. 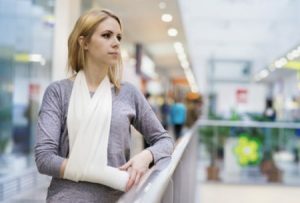 However, there is no denying that you could easily suffer serious injuries if something heavy was to fall on top of you while you were shopping or even working at the time. A product liability case involves an individual that has been injured as the result of a faulty or damaged product. Of course, before products are made available for public use they have to go through rigorous testing. However, there are rare instances when some damaged products fall through the wire, and people are hurt as a result. If you have experienced a personal injury because of a faulty item, you could be entitled to compensation. However, you won’t be able to make a claim if you caused the injury yourself, if you did not use the product correctly for example. There are many different types of product liability cases, including unsafe/sharp edges on a product that cut an individual, electric shocks from products that have not been wired correctly, a reaction to hair dye, beauty products and such like. If you have been involved in this type of incident, you need to report the incident to the manufacturer and the shop where you purchased the product. Once you have done this, you should take photographs of the defective product for evidence purposes. Here at Advice.co.uk, we have plenty of experience when it comes to product liability claims. Give us a call today for more information. If you have been injured in the workplace, you will rightly be thinking about making a compensation claim. This is something a lot of employees worry about, as they are fearful that their employer may fire them for causing trouble and that they could lose their job. This is something you do not need to be concerned about, so long as you have a genuine reason for making a claim and the incident which caused your injury was not your fault. Your employer should have insurance in place to cover such incidents. Employers must provide proper training for individuals who are using heavy machinery and equipment. Personal protection equipment must be provided. This relates to everything from safety gloves to hard hats. A risk assessment must be carried out on a regular basis and employees must be informed of any potential hazards. The working environment must be clean and in a safe condition at all times. This covers the basic points regarding what all employers are required to do by law to ensure a safe working environment. There are a number of other rules and regulations in place. If you feel that your employer has failed in their responsibility, and this has resulted in the incident at Marks and Spencer you were involved in, you may be entitled to compensation. What Is A Retailer’s Duty Of Care? All retailers owe a duty of care to anyone who shops at their store and anyone who works there too. For those who are unaware, “duty of care” is the legal obligation that any business has in order to act in a manner that is deemed prudent and reasonable. This means providing a safe environment for people to shop in. When this duty of care has been breached and an injury sustained there may be grounds for a claim for an accident at M&S to be made. A lot of people are unaware of the fact that there are time limits in place when it comes to making a personal injury claim. This tends to be three years. However, this can differ based on the circumstances of your accident. You can find the personal injury claims time limit relating to your case below. In regards to how long a personal injury claims case should take it is difficult to say as all cases are different and follow their own schedule. Workplace accident 3 years from the date of the accident or the date you became aware of the injury or illness. Slip, trip, and fall 3 years from the date of the accident or the date you became aware of the injury or illness. Customer accident 3 years from the date of the accident or the date you became aware of the injury or illness. Get professional medical attention – The first step is always to deal with your injuries. Of course, if you have been hurt, it may seem obvious that you need to see a doctor. Nevertheless, there are some people that skip this step when they have only sustained minor injuries. Not only is this not advisable in terms of your health, but also your personal injury as the doctors report will be used as evidence. Report the accident – A lot of people think it is better to avoid their employer and simply wait for them to receive a letter from their solicitor about the claim. We advise you to inform your employer as soon as possible about the accident as they are required to have an accident book by law, and they will need to record the incident in this. If you are a member of the public it is also advised that you report the incident in the accident book. Get witness contact information – Did anyone witness the accident? If so, you should get their contact information, as this will really help to strengthen your case if they are willing to provide you with a witness statement. Hire a No Win, No Fee solicitor – When it comes to securing compensation when making a claim for an accident at M&S, the most important thing is to have a quality solicitor on your side that can give you the greatest chance of getting the payout you deserve. A no-win no-fee solicitor is the right choice because the financial risk is minimised when going down this route, as you will only need to pay legal fees if your case is a successful one. Keep proof of any costs incurred – It is likely that you will have experienced some added expenses because of your injuries, such as treatment costs, counselling expenses, travel costs, loss of income, childcare expenses, and such like. You will be able to claim for these as special damages, but you will need to have proof to do so. There is a lot to take into consideration when it comes to making a personal injury claim for an accident in an M&S. However, one of the most important things we advise is finding the right solicitor for your case. After all, the individual you choose is essentially going to have the outcome of your case in their hands and you won’t get another chance to get your claim right. So choosing with care is imperative. First and foremost, you should look for a solicitor that has a significant amount of experience in the industry. You certainly do not want to be someone’s practice project. It is a good idea to ensure they have worked in their position for a number of years. By doing this, you can be confident that they will have handled cases similar to yours time and time before. Here at Advice.co.uk, we will connect you to a specialist solicitor with many years of experience. Aside from this, you need to carefully assess the payment structure that is offered by the solicitor in question. It is definitely recommended to go for one of the No Win, No Fee accident lawyers that are available. There are lots of advantages to be gained by going down this route. Firstly, you will not need to pay anything upfront to start the claim process. Moreover, you will not pay any legal fees if your case is not successful; this ensures that you are protected monetarily. This also leads to a better service, as the solicitor is going to be impacted by the outcome of your case. They won’t waste your time – they will only take on your case if they think there is a genuine chance of you getting compensation. All of the solicitors we can provide to clients work on No Win, No Fee. Aside from this, frequent communication is imperative. You don’t want to feel like you are being left in the dark. It is likely that you are already stressed and worried because of your injuries. You don’t want a company that is going to add to this. You should read reviews that have been left by previous customers to get a good idea regarding the individual that you are considering. Another box that we tick! If you want to have a chance of securing the maximum amount of compensation that you are entitled to, you should get in touch with Advice.co.uk. We are one of the leading firms in the country. All you need to do is look at the comments that have been left by our previous clients to see that this is the case. Having been established for years, we have successfully assisted many people within this period. We have worked on many slip, trip and fall cases, workplace cases, and other claim types too, and so you can be confident that we have all of the experience you need. We will match you to a personal injury lawyer and they will have years of specialist experience. We make the claim process really easy too, as you can see from the table below. One of the standout features of our service is the fact that we work to a No Win, No Fee payment structure. This is highly beneficial for you, as it means you only need to pay legal fees if your case is a success. This reduces financial risk and assures you of an exceptional service. If you have any further questions, or if you would like to make a personal injury claim for any type of accident that has happened at Marks and Spencer, all you need to do is call us on 0161 696 9685. Our lines are open seven days per week, from 9 am until 9 pm. We look forward to hearing from you. All about falls – NHS – The NHS provide information on falls. You can read this here. How to get in touch – Marks and Spencer – To make a complaint or report an incident.